Austria isn’t immediately a place one associates with jazz; classical music, of course, but jazz….? And yet, one of the titans of modern jazz – Joe Zawinul – was born and bred in Austria so perhaps we should not be so ready to dismiss the country as some sort of jazz backwater. A worthy successor to Zawinul has now emerged from Austria and is starting to make a name for himself on the international stage: composer and pianist Johannes Berauer. His latest album, Hourglass, will be released on the Basho label on 20th July. Like Zawinul, Berauer studied at Berklee College of Music in Boston. He also attended the New England Conservatory of Music where one of his teachers was Bob Brookmeyer. His instrument is the piano but it is as a composer and arranger that he is becoming best known. Like many jazz musicians, particularly in Europe, Berauer successfully works in other musical genres. His classical music compositions have been performed and recorded by orchestras and chamber music groups in Austria and beyond. He acted as orchestral arranger and musical director for the Tunisian oud player, Anouar Brahem’s recent ECM release, Souvenance. And he collaborated with the sarod virtuoso, Soumik Datta on King of Ghosts, a silent movie project which has been widely performed, including concerts in which Berauer conducted the Scottish Chamber Orchestra and the London Philharmonic Orchestra. A recording of the project was released in 2017 on the Globe Music label. Berauer has incorporated influences from these other genres into his jazz oeuvre. His Vienna Chamber Diaries project, for example, is an impressive blend of classical music and jazz. A recording of the project was initially released in 2013 on Material Records and a Volume 2 came out earlier this year on Lotus Records. An extract from Volume 1. The pianist on that video is Gwilym Simcock, one of the brightest stars in the current jazz firmament. Berauer and Simcock have formed a close musical relationship – “... he is such a fantastic musician”, says Berauer, “I love the way he interprets harmony and the way he flows with time”. Simcock also plays piano on Hourglass along with Thomas Gould (violin), Mike Walker (guitar), Martin Berauer (electric bass), and Bernard Schimpelsberger (percussion). Hourglass is much more straight ahead jazz than Berauer’s other projects. It has a strong rhythmic pulse, some great tunes, virtuosic playing and a joyous, accessible spirit. 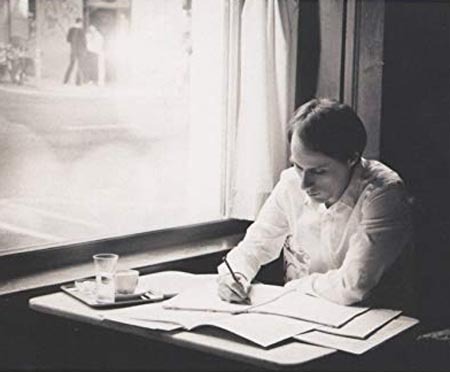 All ten tracks were composed by Berauer who says that “many influences that fascinate me and shaped my musical world in the past popped up in these pieces, like Bach’s counterpoint, Messiaen’s sense for harmony, Indian rhythm language or M.C. 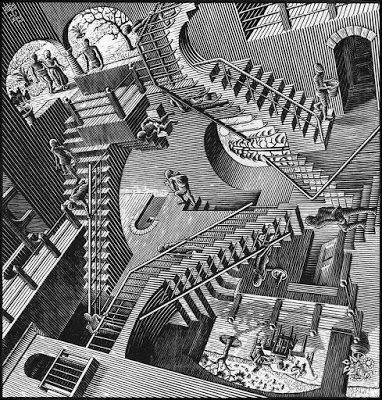 Escher’s paradox view of reality”. From a jazz point of view, much of the album has a jazz-rock feel – think Mike Gibbs or even Joe Zawinul himself; indeed, tracks such as Nocturne or Invention would not be out of place on a Weather Report album. However, Hourglass is much more than the sum of its influences. One factor that gives the album its uniqueness is the imaginative use of the violin. Jazz has never really taken to the fiddle despite the efforts of Stephane Grappelli and Jean-Luc Ponty. It takes a composer like Johannes Berauer with his experience of classical music forms, to be able to write effective jazz for the violin; and a virtuoso like Thomas Gould also with a background in classical music (leader of the Britten Sinfonia, for example) but with an almost instinctive feel for the rhythms and improvisational dynamics of jazz, to play it. Berauer is also able to integrate his experience of non-Western musical forms better than most. Indian influences are particularly prominent. It comes as no surprise to learn that Berauer, his brother, Martin and Bernhard Schimpelsberger visited India together 15 years ago. Schimpelsberger has become a specialist in Indian music, even designing his own bass drum to make it sound like a tabla. His percussion on Hourglass is one of the factors that contributes to the Indian feel, particularly on a piece like East, which also includes some striking konnakol Indian rhythmic chanting. Berauer cites the artist, M.C. Escher as an influence. It might be difficult to imagine how a visual artist’s work can take a musical form but much of the music on Hourglass, particularly the final track, Spiral, is constantly moving towards a climax which never seems to arrive, either going up or down in a never ending spiral – just like some of Escher’s most popular work, in fact. To get an idea of the sort of music on Hourglass, watch this video of a performance of one of the tracks, Keep Up. It is now just over 10 years since Joe Zawinul died back in his native Vienna. One can’t help feeling that the world will be hearing a lot more in the next few years of Johannes Berauer, another jazz innovator, another blender and blurrer of genres, another man out of Austria. 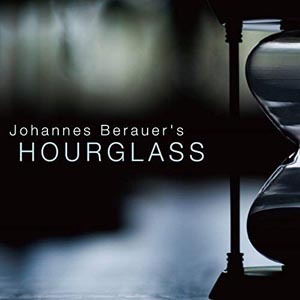 Johannes Berauer talks about Hourglass. Click here for details of Hourglass on the Basho Records website or click here to sample the tracks when the album is released on 20th July. 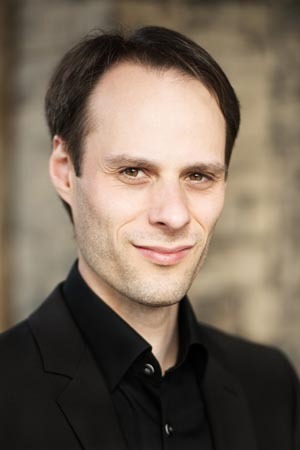 Click here for Johannes Berauer's website.